Auction House Homm will hold their ’20th anniversary auction´ with Art & Antiquities Saturday 27 June 2015 at 14.00 in Uberursel, Germany. 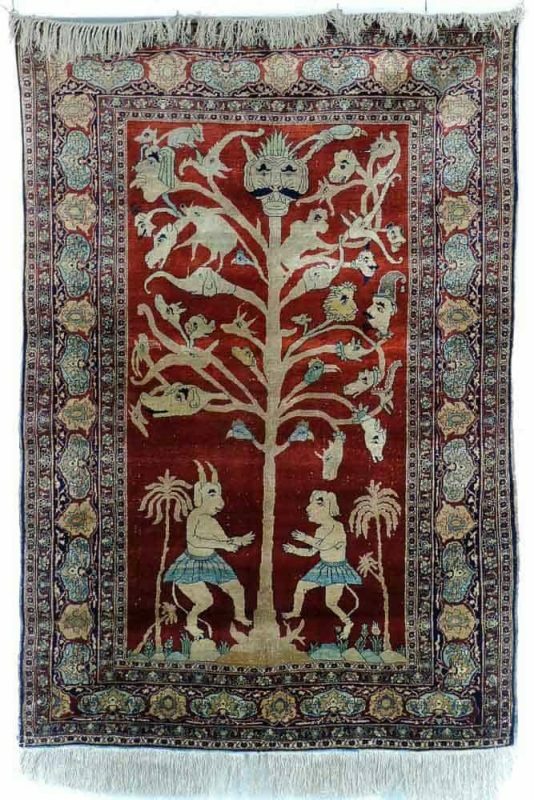 The carpet session of this auction includes 137 oriental rugs, carpets and textiles, and among them Hereke silk rugs, Koum Kapi, Kashan and Tabriz silk rugs. 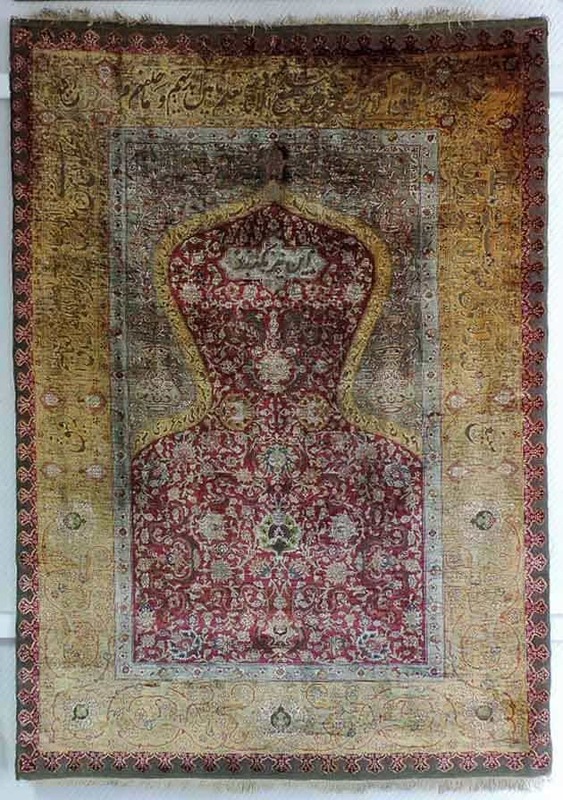 Auction House Homm’s public exhibition previews take place Wednesday, Thursday and Friday 24-26 June, all days from 10.00 – 13.00 and 14.00 – 17.00. Lot 505. 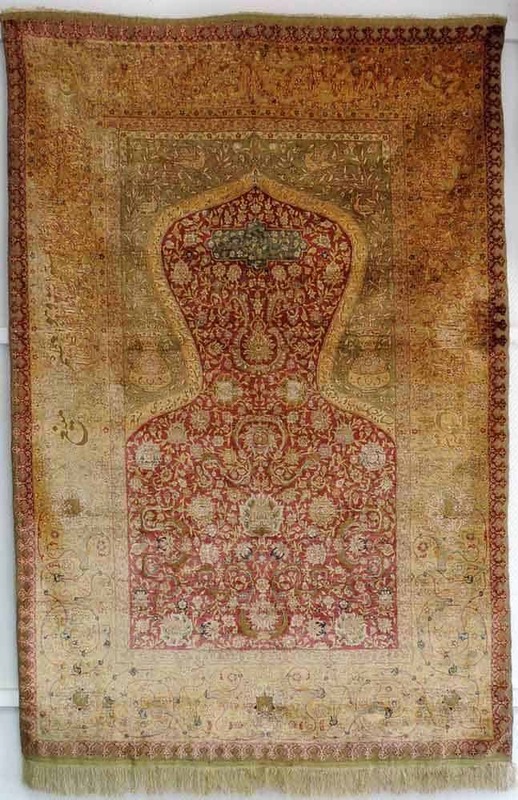 Anatolian Koum Kapi silk prayer rug circa 1920. 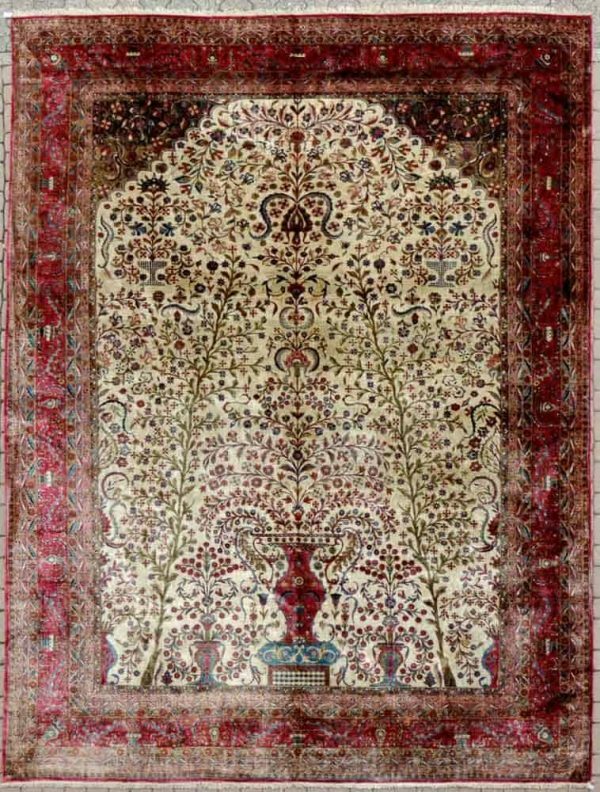 Their catalogue for this auction can be found online at www.lot-tissimo.com.